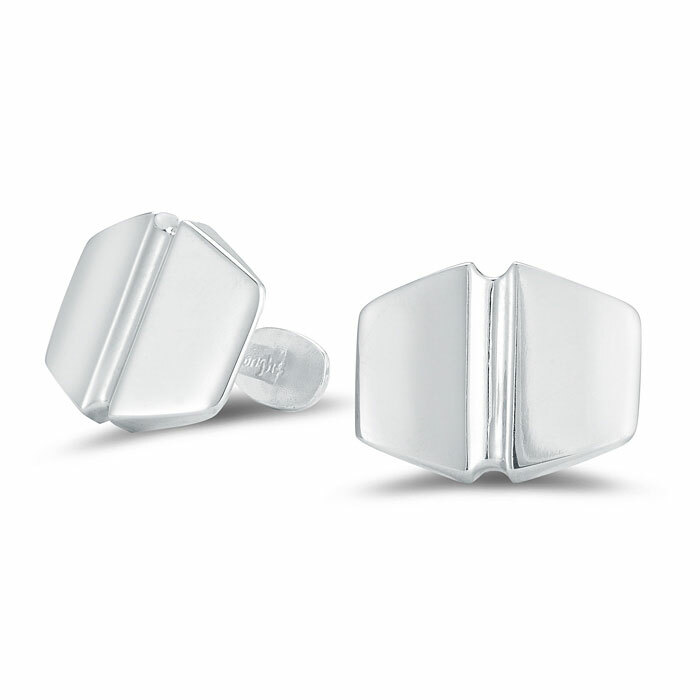 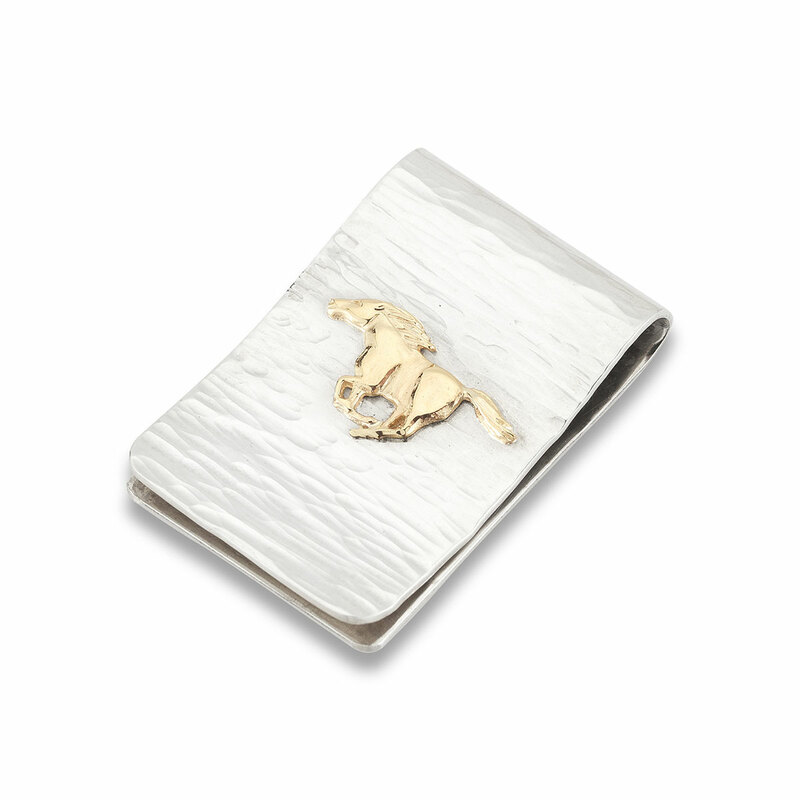 These rectangular cufflinks have a nice rounded edge with a 3-dimensional diagonal curve on the surface. 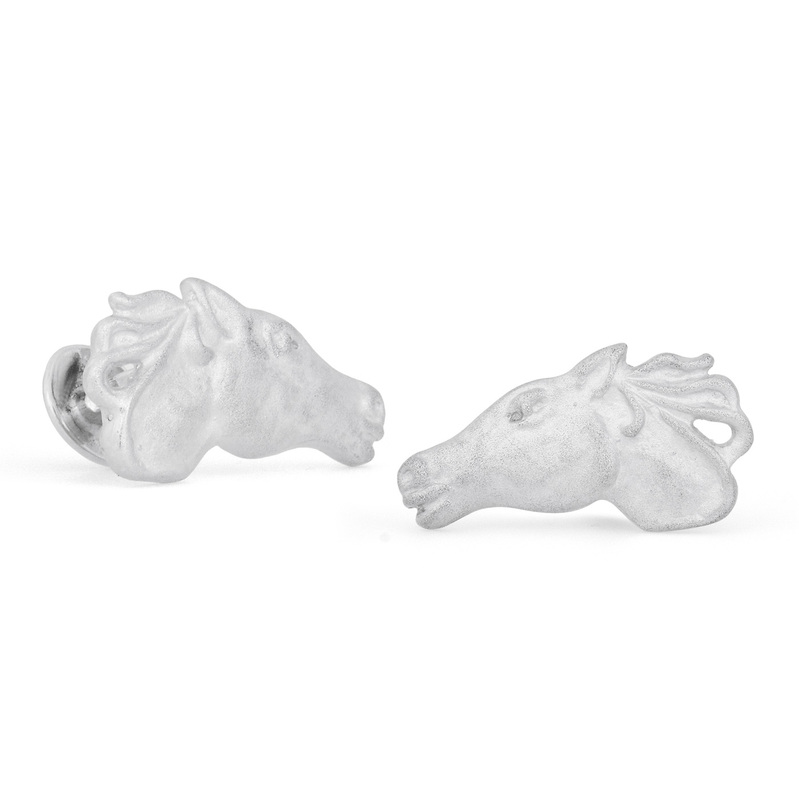 They are photographed with a satin finish and are available in satin or a high polish. 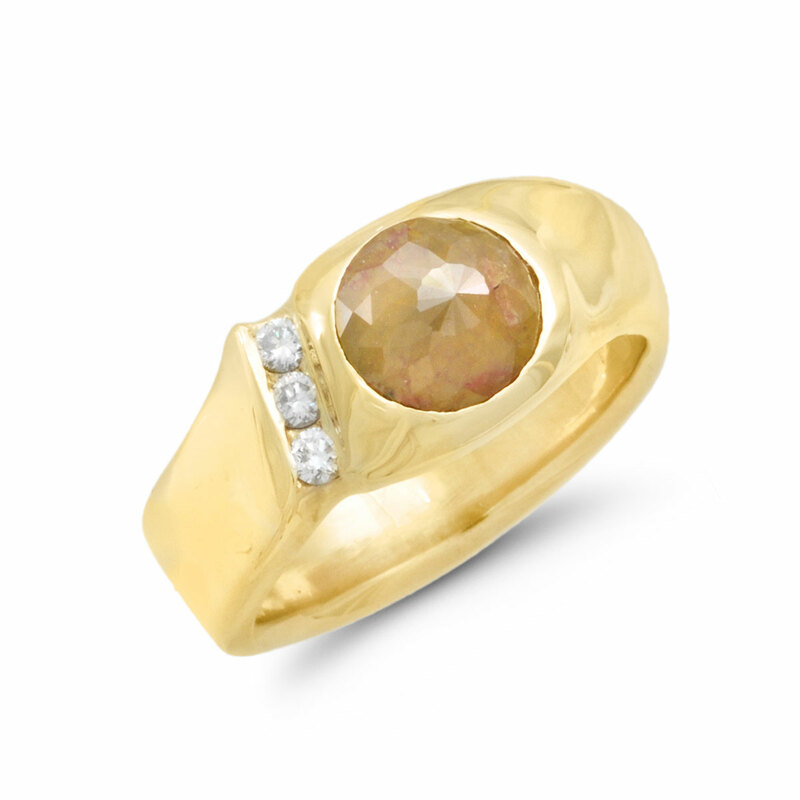 Diamonds or colored gemstones can be added for a more unique look.